The press embargo on the 2018 Camry has lifted, and the flood of reviews has hit us. In this time, I came to realize that, rather embarrassingly, I am actually excited about this new Camry and the engine tech it’s debuting. But what truly made me lose my mind was the cruise control buttons on the steering wheel. I am not lying when I say I audibly gasped when a reviewer mentioned the cruise buttons placed on the Camry’s steering wheel. The same cruise control stalk has been a mainstay in every Toyota product for as long as I have been alive. 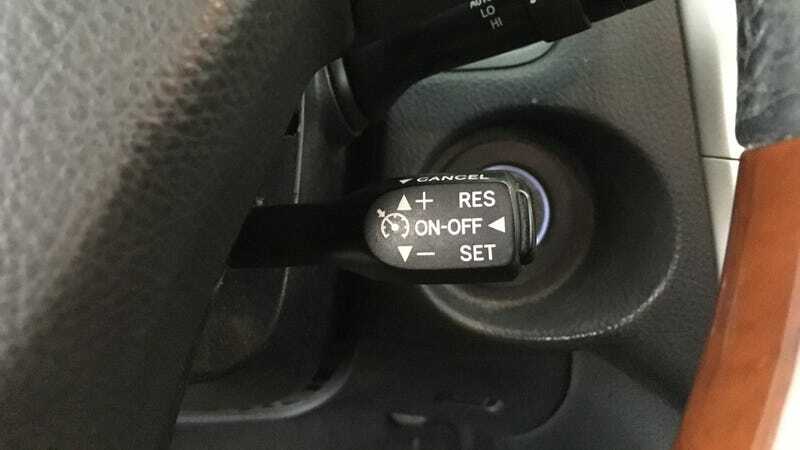 I do not know when Toyota first implemented the cruise stalk, but I know it stuck out of the steering wheel loud and proud in my mom’s green 1992 Camry. We had that car from the time I was born until I was about 12, but that’s a story for another time. Fast forward 12 model years, and the same stalk protrudes from the steering wheel in my ’04 RX330, despite the fact that it is a part of Toyota’s luxury brand. Toyota did get some flak for using the same switchgear in Lexuses, but they continued on the same path. The previous flagship LX570 that was just redesigned for 2016 and starts at almost $90,000 still uses the same cruise stalk. The same one as the ’92 Camry LE. But, as it turns out, Lexus had changed even before the new Camry came out. In my frantic research last night, I discovered that the LC actually debuted with steering wheel mounted buttons for the cruise. This seemed to have started the trend for Toyota, as the redesigned LS now uses the same steering wheel buttons. I will say that I did like the fact that you could get in any Toyota product and know exactly how to work the cruise, but these are still truly exciting times. After over two decades, Toyota is finally getting rid of the cruise control stalk. Hopefully the buttons work as well because we’ll probably be stuck with them for the next 30 years.